Spring Flowers in NOLA ~ Happy Beltane! 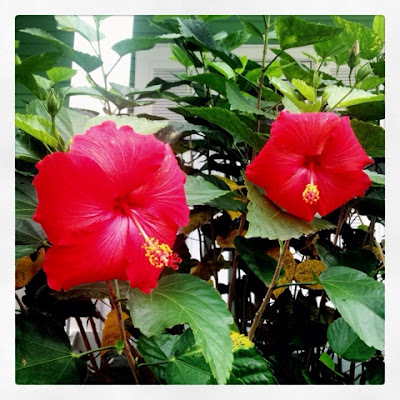 #hibiscus #gardening These are the flowers that grow in front of mom's house in February. We in Boston aren't likely to see our hibiscus until June? or so. But it is Spring for certain! Lilacs, tulips, and my favorite: irises! The funny thing for me about being in NOLA in Feb is that I get these terrible mid-Spring allergies twice: two weeks in Feb there, then again down here at the end of April/beginning of May! Worth it though, in both places. Happy Spring! Happy Beltane!